Bunbury in Western Australia was not very impressive from the sea in 1918. A ring of sand hills round a blue bay, with a stone breakwater shielding a long wooden jetty, a lighthouse on stilts on a low hill and a glimpse of low red roofs between trees. It was a small seaside town, serving the local farms and sawmills. It had one cinema, the Lyric, and not much else. There was no crowd of sailing ship apprentices here, and no seamen’s mission. 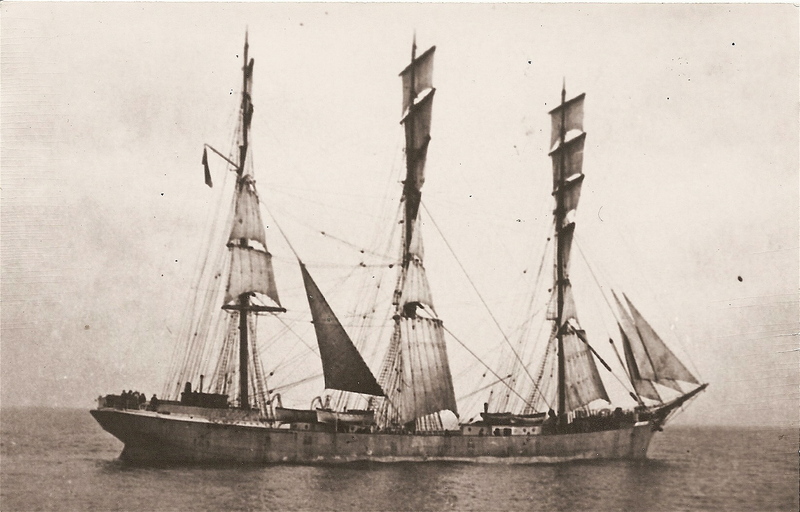 There were also no tugs, so when the sailing ship Monkbarns dropped anchor in Koombana Bay fifty days out of Rio de Janeiro, lines had to be run out to the town jetty, and the men heaved away at the capstan bars to winch her alongside. Out along the yard, busily furling the sails to a “harbour stow”, the seamen and apprentice boys looked curiously around them. A Norwegian barque, Auldgirth, and a small steamer already lay along the jetty. Out on the breakwater to seaward, a small locomotive was shunting trucks of stone about. It was Saturday November 9th – and from the shore hands they heard the news: after four years of war the Germans were negotiating surrender. On Monday night, Bunbury came to life. 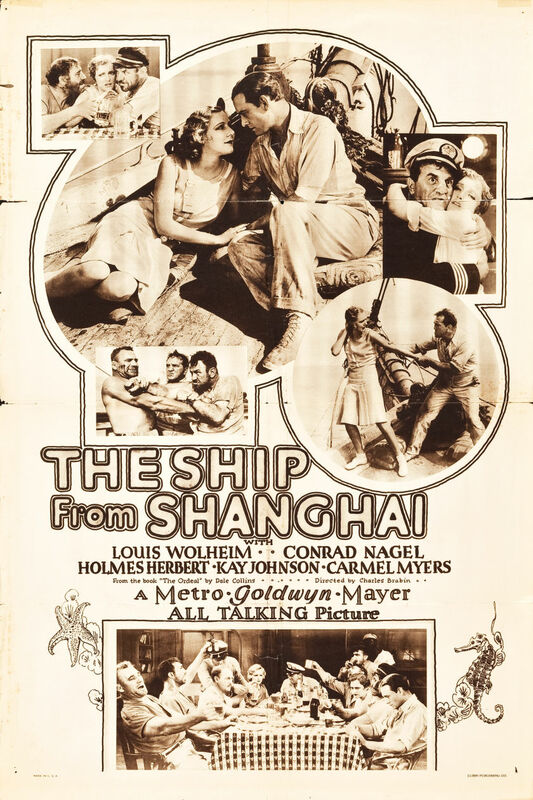 Dorothy Rumble had gone to the Lyric that evening, with her sister Phyl and two friends, to see the Hollywood heartthrob Douglas Fairbanks in The Man from Painted Post. Halfway through the film, she remembered, at 9.30pm, the screen suddenly went blank. The film was forgotten. Everyone stampeded out into Victoria Street, where firecrackers were going off – left over from Guy Fawkes’ night the previous week. “People linked arms and danced down the street. 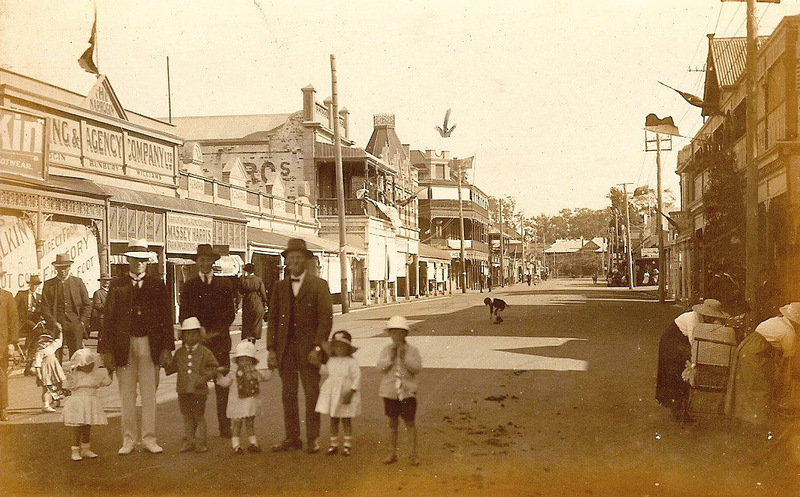 One or two motor cars – there were not many in Bunbury – were trying to drive through the crowd. They joined in the fun and started honking their horns. Others jumped on the running boards for the ride. Kerosene tins became instantaneous drums,” records her son. People talked long into the night. All the bars of the hotels were crowded, according to Monkbarns apprentice Victor Fall, and all work stopped. Monkbarns and Auldgirth hoisted all the bunting they could lay hands on, but the boys didn’t know anyone, so the thanksgiving speeches, bands, parades and school treats over the following days were just “windy” and not very exciting, he said. Dolly Rumble and Phyl, meanwhile, were enjoying a whirl of hastily laid on festivities. There was the thanksgiving service in the council chamber grounds and then a procession, all the way down to Haywards. Someone had suggested throwing a victory dance that night, so they spent all Tuesday afternoon helping to get the school ready, while their parents practised piano and banjo duets for a Soldiers’ Gift Concert in the council chambers that night. Everyone felt a little tired on Wednesday morning, but Phyl was up betimes to cut sandwiches for the school treat next day. There, while serving tea, she would meet a young officer from the ship, Mr Chown, who was third mate and seemed very nice, she said. She met him again, on the 20th, when the mayor of Bunbury, Mr Baldock, threw a party at his house for Monkbarns’ officers and apprentices. 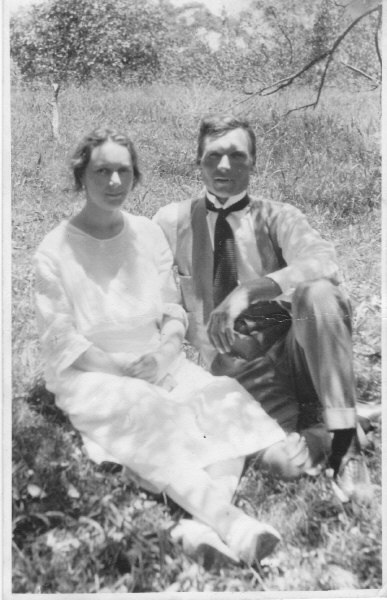 But by the day of the “do” they had permission and went over to the Baldocks’ to help with the cooking and the preparation, and that night – after a great party which everyone enjoyed – Dolly was walked home by 18-year-old Victor Fall, who seemed just what she had imagined a polite, quiet, refined young English gentleman would be. The following Sunday Mr Chown and Mr Fall were invited to tea, which is how the Rumbles met both their future sons-in-law. 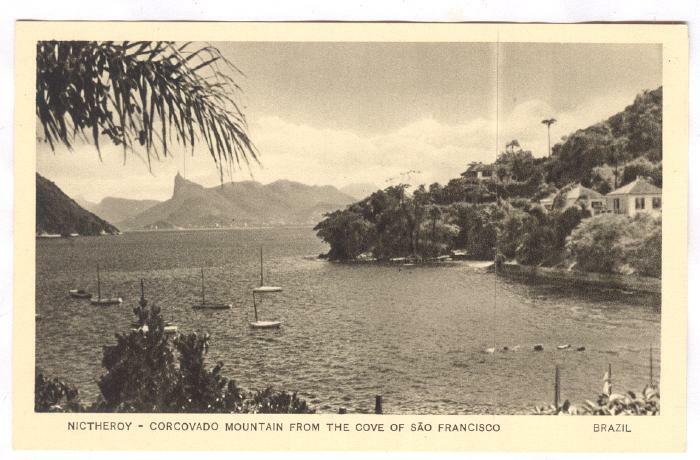 Bert Sivell marked his seventh anniversary aboard the sailing ship Monkbarns in Rio, with a big cigar and a trip up the Corcovado mountain — three years before building began on the 130ft figure of Christ the Redeemer. It was August 1918 and a postcard view marks the empty summit with an arrow. He had been to church, he wrote to his father (as you do), and was developing quite a taste for the cheap local cigars, of which he was laying in a stock. 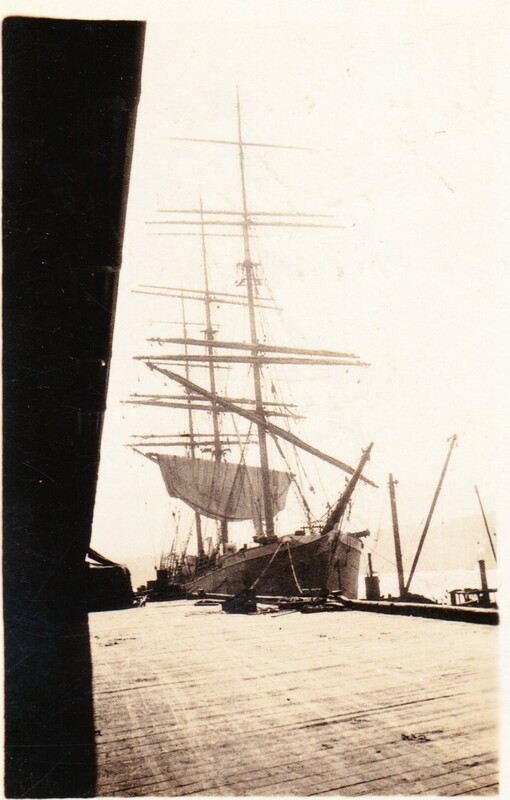 Monkbarns was in dry dock across the bay in Nictheroy, undergoing repairs, a big grey rust-streaked hull dwarfed by her three tall masts – the main being 192ft from truck to keelson. She could set twenty-three sails, and needed twenty-four hands to work her. 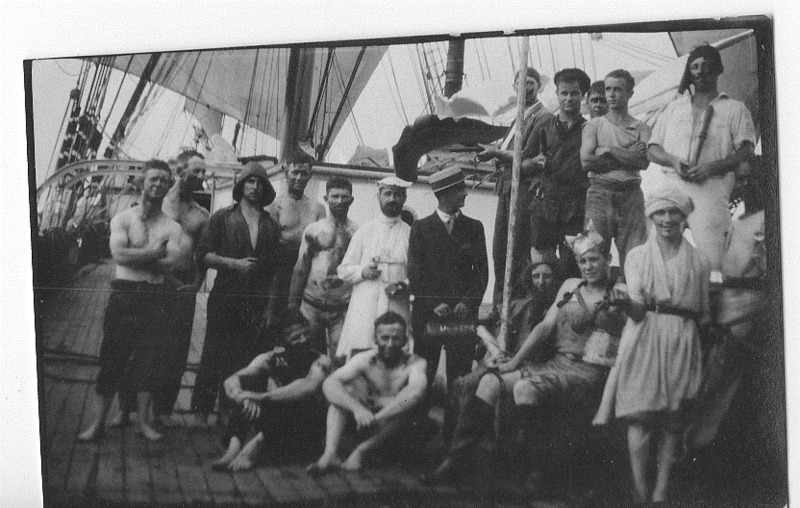 “Who would have thought when I joined her that I would be mate before being six years at sea,” Bert wrote. He was 23. 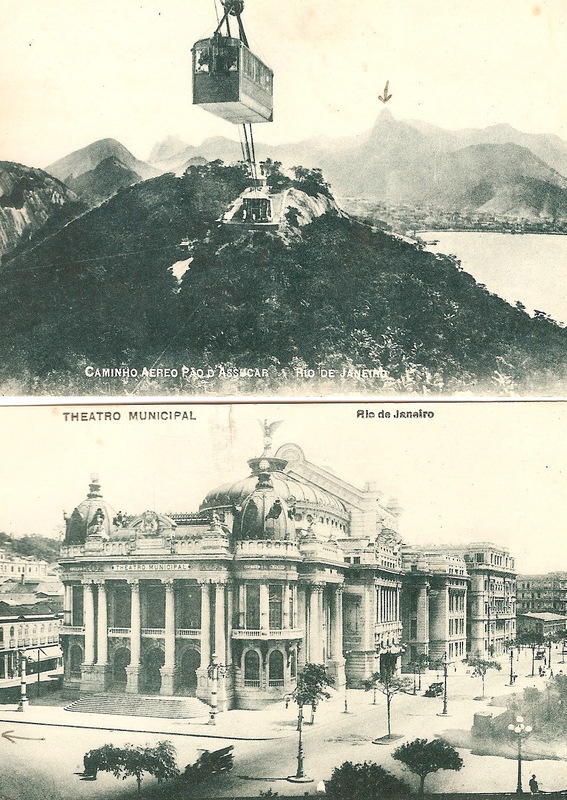 Rio harbour during the first world war was a magnificent sheet of water ringed with jungle-clad peaks and big city sprawl, and dotted with palm islands. There were ships of every sort, from cruisers and destroyers to Atlantic liners and little steam coasters, and between them all tall sailing ships, barques, brigs and schooners, loading or unloading cargoes, and bobbing at the farewell buoys. Captain James Donaldson, his young officers and the four remaining apprentices had been left kicking their heels in Rio for two months since Monkbarns’ mutinous crew were convicted at a trial on HMS Armadale Castle that June, and they were to remain for one more month while the boys’ half-deck house was enlarged. The cargo of flour had been whisked north by a Lamport and Holt steamship and John Stewart & Co were sending out ten new little apprentice boys to work the ship home. Never again would Monkbarns’ fo’c’sle hands outnumber the officers. What ordinary seaman Fausto Humberto Villaverde thought of his trial aboard the HMS Armadale Castle in June 1918 was not clear. Charged with “combining to disobey lawful commands” – or mutiny, as his officers saw it, the evidence had to be translated into Spanish for him, and even the translator appeared to have struggled with his replies. The Peruvian’s defence is given as one line: he had “illness in the stomach”. The Dane Soren Sorensen had been heard first. 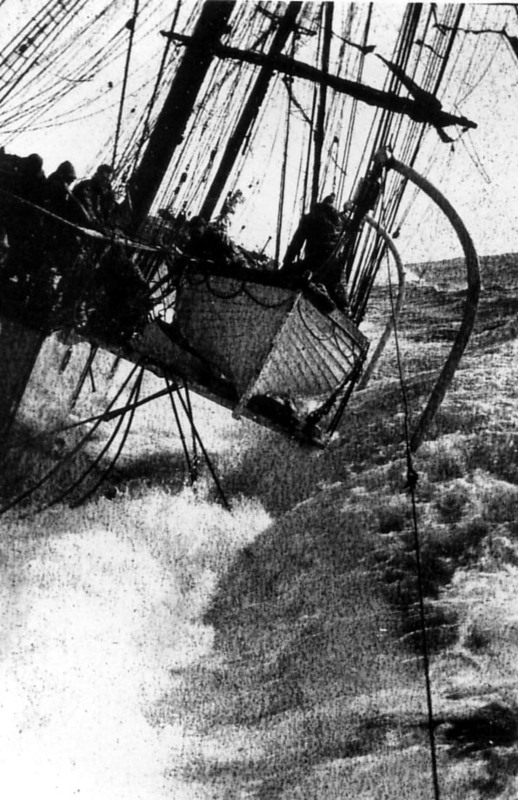 Unlike the other men, he was accused only of insubordination – for having answered back when Monkbarns’ master, Captain James Donaldson, criticised his steering. He denied using bad language. He claimed the master had sarcastically asked what time he, Sorensen, would be able to steer the ship and that when he had complained he was feeling sick Donaldson had threatened to “smash him in the face”. The only witness on the poop at the time was the young 2nd Mate, Aplin, who did not support this version of events. As Sorensen had technically already been punished, by the imposition of the five shilling fines – which was all the authority Donaldson had under British maritime law – he was found guilty but no further action was taken. 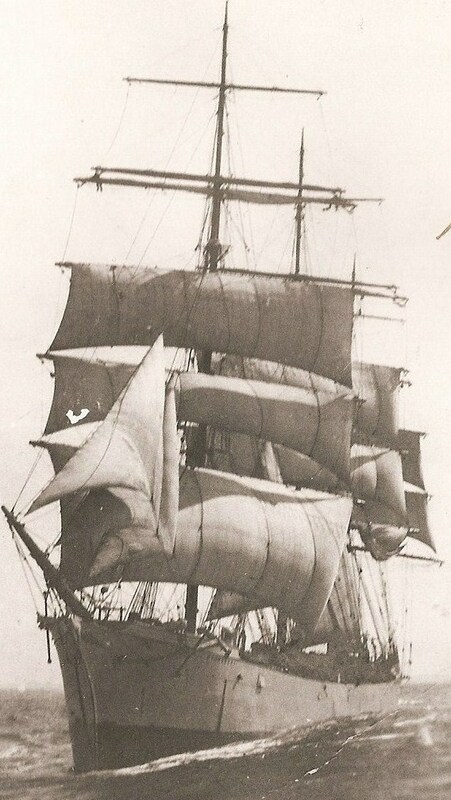 The Irishman Thomas O’Brien was called next by the impromptu naval court in Rio bay and was asked to explain his refusal to grease down a mast when ordered to do so. His defence that he was starving met short shrift from both British ship captains officiating. “You don’t look like a man that had been starved,” they said. They wanted to know why, if the food was so bad, O’Brien had bothered to steal more of it during the voyage from Melbourne, as he admitted. He claimed he had only disobeyed orders because he was “played out from starvation” and too weak to work, “except where it was necessary”. But his judges jumped on the rider. The Welshman David Thomas’ evidence is the most poignant. “I thought I was going home,” he told the hearing. 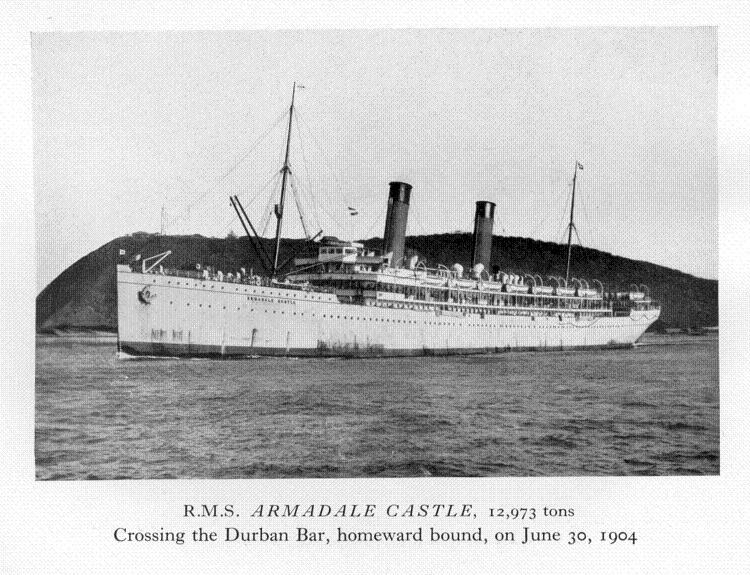 Perhaps Captain Donaldson – desperate to replace deserters in Australia – had been a little economical with the truth. By the time the ship left Melbourne their cargo of flour was destined for New York, not wartorn Europe. At 45, Thomas was the oldest man in the fo’c’sle, and he had suffered rheumatism and cramps from sleeping in a wet bunk during the long, stormy passage round the Horn. 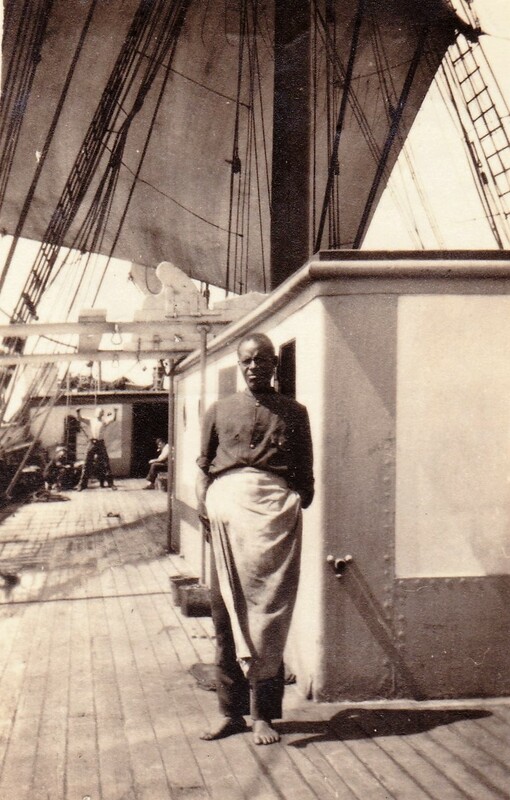 Though only rated able seaman on Monkbarns, he had done two voyages as bo’sun on his previous ship, he said, which showed he was not of such bad character as painted. He had not been looking for “any bother”. He had gone aloft when he could. His handwriting in the crew list is shaky like an old man’s and there is no year against his last ship. He was scathing on the subject of the pantry however. 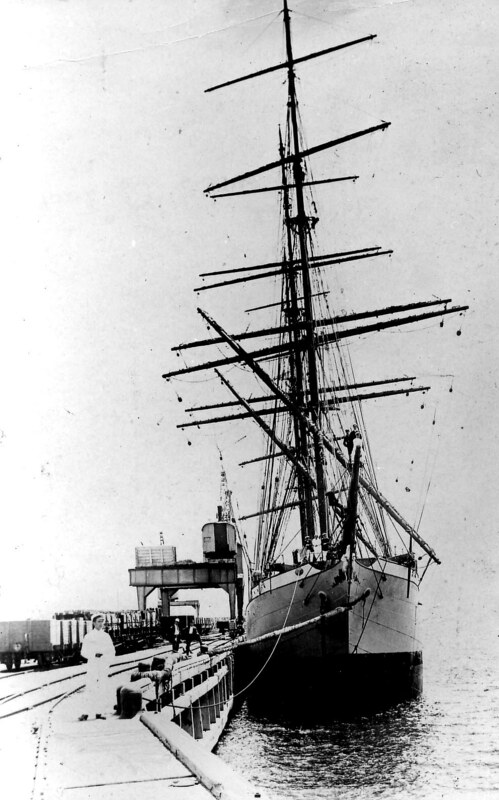 The food was so bad it made him sick, he said, and he had seen some of the boys in the ship so hungry they would get a cup of flour and fry it in fat in the galley to have something to eat. 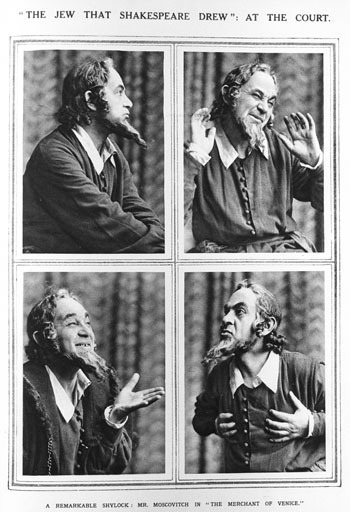 The mate (Bert Sivell) half stuck up for him, telling the court that Thomas would usually go aloft to make sail fast, although he had refused to do so for the greasing, but the president wasn’t having any of it. “Well, if he can go aloft to take in sails he can go aloft to grease down the mast,” he said, firmly. Thomas and O’Brien were found guilty of continued wilful disobedience. Moore, Henriksen and Villaverde were found guilty of combining to disobey. All five men were sentenced to twelve weeks in prison in the UK and the cost of their “board” on the passage home, which was calculated at three shillings a day for 38 days. Thomas and O’Brien were also fined six days pay, and O’Brien was further charged £2 for the food he had admitted stealing. They set off in convoy under lock and key aboard the Armadale Castle in July and arrived in Newport, Wales, after an uneventful crossing on August 4th. 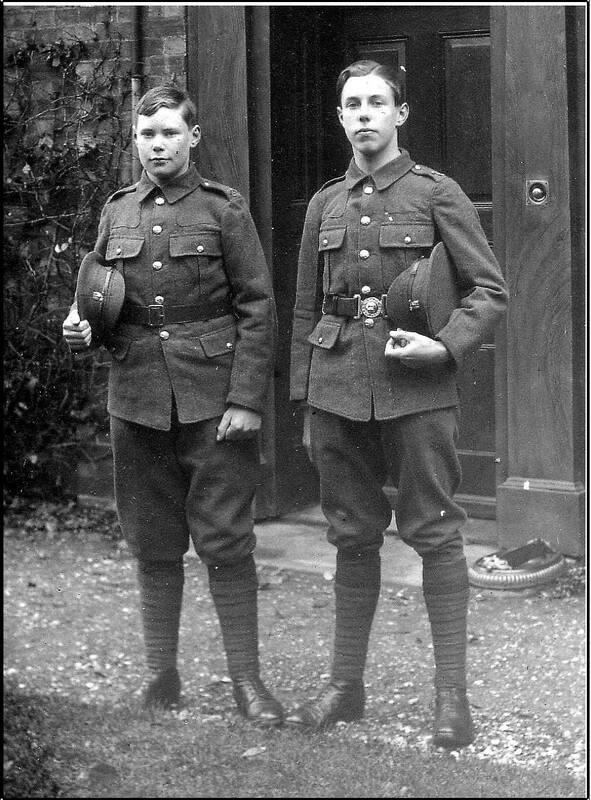 Sub-lieutenant George Frost’s last sight of them was handcuffed together on the railway platform at Newport, waiting for a train to take them to prison. They had six weeks of their sentence left to serve. For them, the war was over. 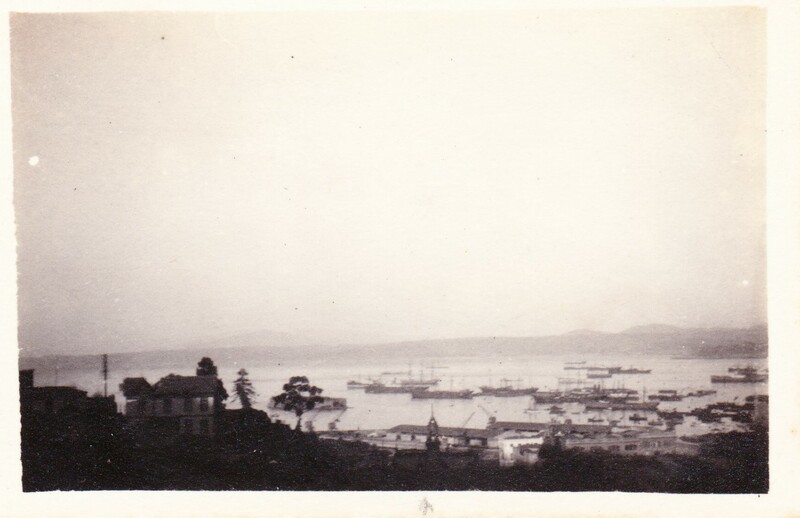 On the 28th June 1918, a British naval court was convened in Rio bay to try six predominantly foreign seamen for “wilful disobedience to lawful commands” on a British ship – Monkbarns. It passed into history as a mutiny, but was it? 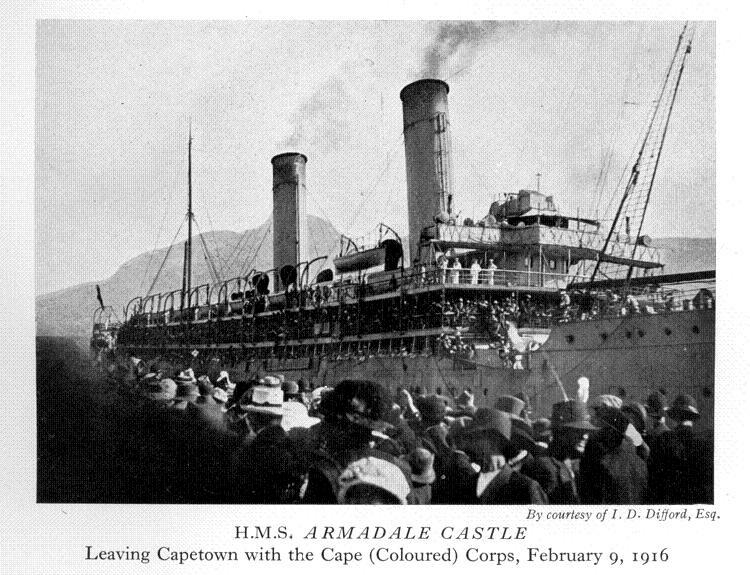 The hearing was held on the HMS Armadale Castle, an armed merchant cruiser/former passenger liner, and was presided over by her commander, Captain George Leith RN, her chief officer, Lieutenant William Pawlett Evans RNR, and Captain Robert Smith, master of the British steam ship Messenia, which just happened to be in port. Monkbarns had sailed desperately into the busy tangle of steamers in Rio bay four days previously flying distress flags and seeking protection from mutineers in her fo’c’sle, and under the quite astonishingly wide-ranging powers of the Merchant Shipping Act 1894, section 480 (only repealed in 1994! ), this was deemed sufficient to bypass Brazilian jurisdiction. Captain Leith’s log does not record what Captain James Donaldson was signalling as he came, but whatever it was, Armadale Castle instantly dispatched a dozen armed men out to Monkbarns in a boarding party commanded by sub-lieutenant George Merry Frost, RNR. 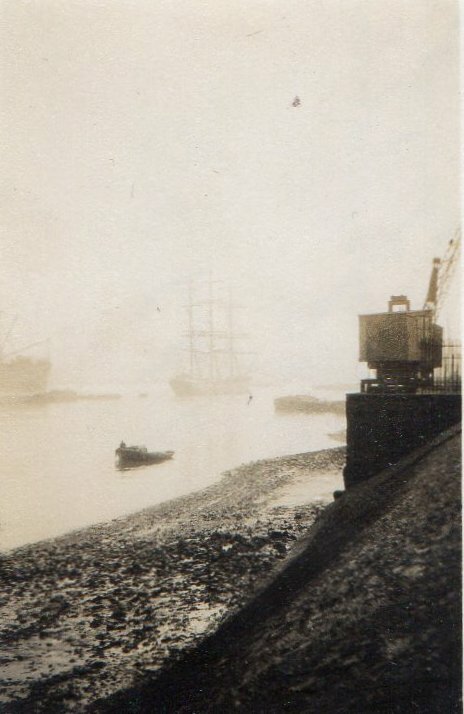 Frost knew Monkbarns, having visited her in the Thames at Greenhithe when he was a boy on the nautical training ship Worcester. Now, as he boarded the ship in distress, in wartime, on the other side of the world, he spotted a familiar face – another HMS Worcester boy, Monkbarns 2nd Mate Bill Aplin – and was borne aft to the saloon to hear the officers’ tale. 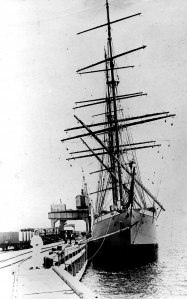 The crew had forced the ship into port by refusing to work her, in protest at the food aboard. The mate’s log referred to it as mutiny, but until then it was the officers’ word against theirs. A hot headed young American seaman and an inarticulate Peruvian were about to change that. Corporal Thomas Perkins of the Royal Marine Light Infantry, posted on guard aboard overnight, became the first witness for the prosecution the following morning when three of the crew – Charles Moore, Fausto Humberto Villaverde and the Norwegian cook, Edvard Henriksen – refused to “turn to”, at the start of their watch. 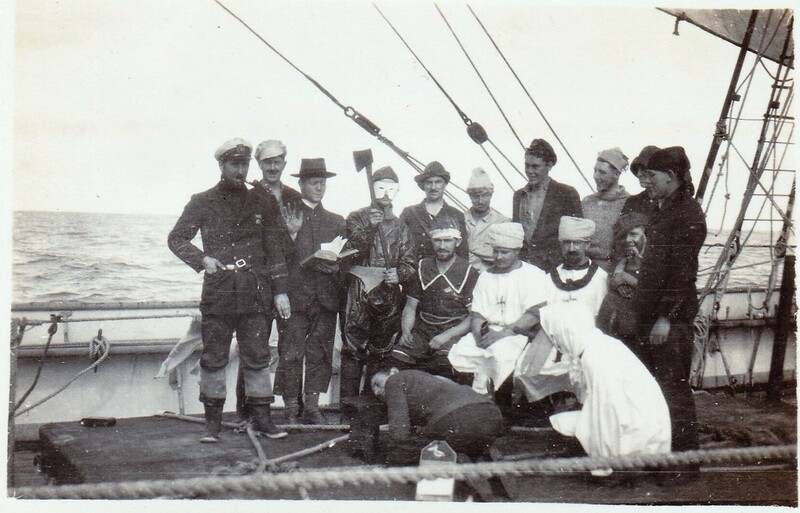 The men claimed they were ill, but when a doctor (second witness) arrived from shore and certified them fit to work they refused again. 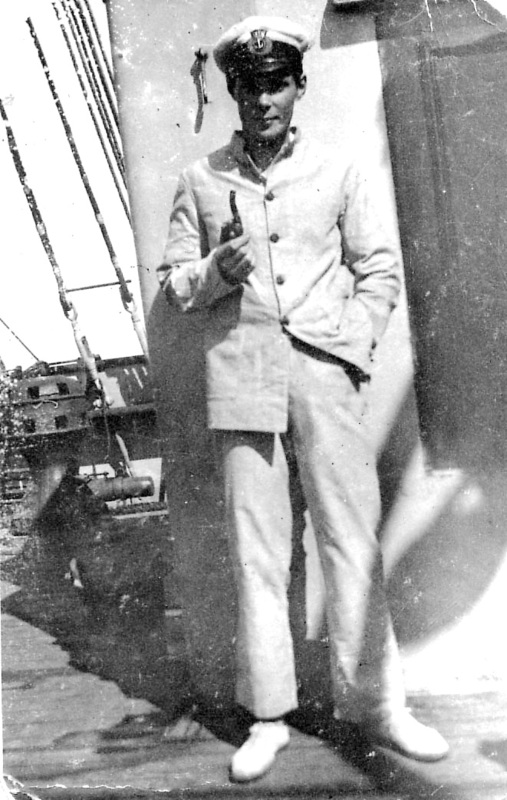 Moore, 21, and Villaverde, 22, packed their bags and appeared on deck smoking, the subsequent trial was told. So Frost arrested them. They had been warned, he said. Though possibly they underestimated the long arm of British justice. Edvard Henriksen, also 22, meanwhile had been found asleep in his bunk. When roused and challenged with refusing to get up for work, the Norwegian offered the first excuse that came into his fuddled head: toothache, he said. This proved a bad move, as he was marched off up on deck and the tooth he randomly identified was yanked out on the spot over the main hatch – without anaesthetic. Henriksen too was then ordered back to work and when he refused was also arrested. Frost told the court later they had all refused to serve further on Monkbarns, “though they said would on another vessel”. In all, six men finally appeared before court on the Armadale Castle: Moore, Villaverde, Henriksen, an elderly Welshman called David Thomas, an Irishman, Thomas O’Brien and a Dane, Soren Sorensen. Only Henriksen pleaded guilty.